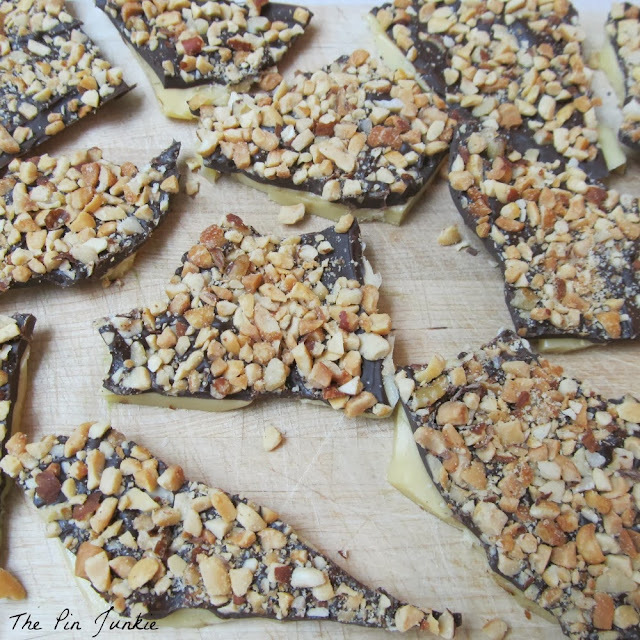 This recipe for traditional English toffee is one of my family's favorites. You don't need a candy thermometer to make this candy, but it can be a little tricky if you've never made it before. The very first time I made this toffee recipe years ago, I burned it so I've included some tips that might help. Once you've made toffee a few times, you'll get a feel for the correct consistency and color that tells you when it's at the correct temperature and then it's easy. My son now knows how to make this and takes great pride in making it himself. 1. In a medium sauce pan combine butter, sugar, water and salt. Bring to a boil over medium heat and cook approximately 15 to 20 minutes (but this time varies) to hard crack stage (300 degrees) stirring constantly. Immediately pour into a buttered glass 13x9 inch pan. Cool completely. 2. Melt the chocolate chips by heating a pan of water on the stove. When water boils, turn off the heat and place a bowl containing the chocolate chips over the pan. Gently stir until chips are melted. (Don't microwave the chocolate chips or the chocolate will burn and won't be the right consistency.) Spread over toffee. Sprinkle with nuts. Let chill for at least 30 minutes or until chocolate is firm. Break toffee into bite size pieces. 1. Use a good saucepan that's heavy or has a thick bottom. A thin, low quality saucepan will heat quickly and burn the candy. 2. Have a glass of water nearby to check the candy. 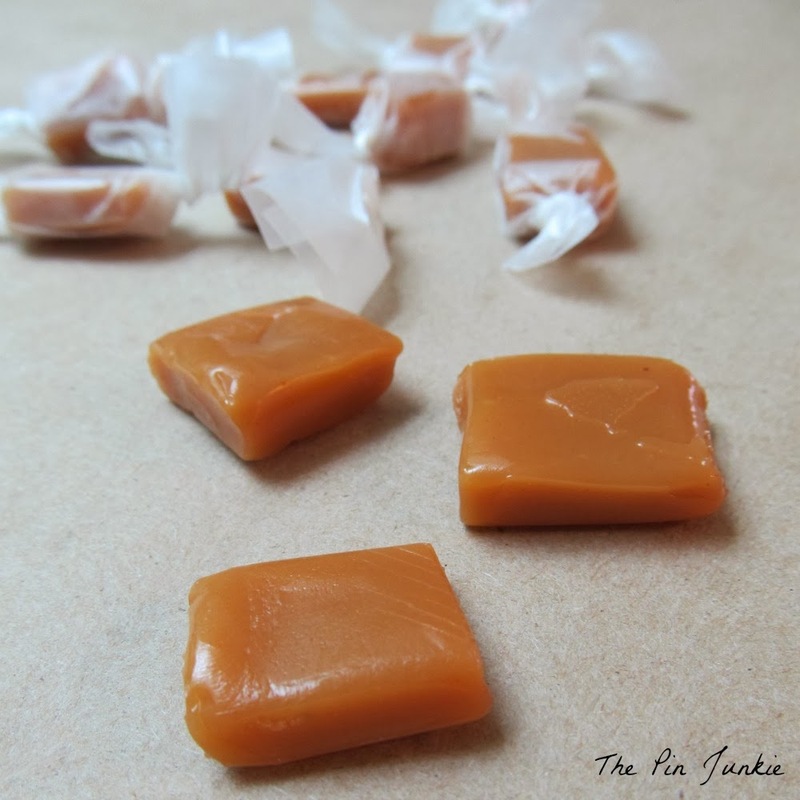 You'll know when the toffee is ready when the mixture turns a light brown, caramel / toffee color. (dark brown in burned) The candy will also turn hard and brittle when a small amount is put in the water. This is hard crack stage for candy. 3. Be careful! While cooking, this candy is HOT and will burn badly. 4. Avoid distractions. Once you start making the candy, you cannot stop stirring! You must stir constantly to prevent burning and scorching the bottom. Your toffee will look like this and taste even better! Thanks for the tips...I'm often distracted when cooking. But this would be a great gift for the holidays. Woo-hoo! Another pin junkie! So glad you stopped by Erin! I know what you mean! I gave away a lot of what I made to family and friends just so I wouldn't eat it all myself! Oh wow! That sounds good, and you explained it so well! Love English toffee but I've never attempted to make it before. I bet it would make a great gift! I have to try this. It looks so good. Love the nuts on top. Pinning. Wishing you the best over the holidays. Visiting from the Freedom Fridays link party at My Turn for Us! OH Goodness!! Absolutely, I pin it!! (as I am wiping drool off my keyboard!) I so love toffee! Yum. This looks so delicious! Wish I had a bite right now. Will definitely make this soon! Stopping by from the Family Friday Link Up! I have made 8 batches of toffee since Halloween. It is one of my favorite candies and I love giving it as gifts. I too go by color and do not use a thermometer. Thanks for sharing with SYC. Have a very Merry Christmas! 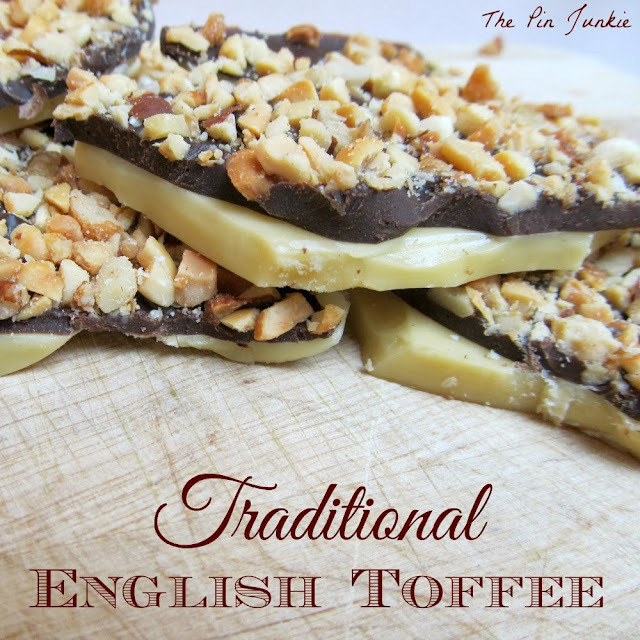 I adore English Toffee and to make it myself sounds brilliant. Thanks so much for sharing it with us on foodie friday, Merry Christmas. This looks so good. 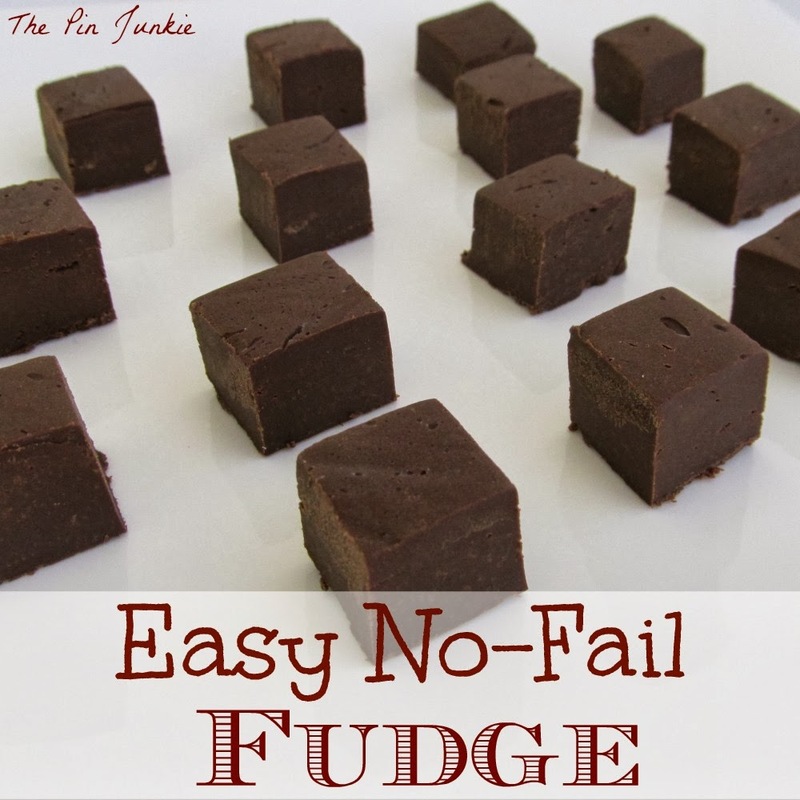 I've never made any type of candy before, but I may just have to try this one. Thanks for posting. You're welcome Christa! Once you know how to make it, it's really easy. Mmmm. toffee is my very favorite candy! This looks delicious! Toffee is always a favorite in our home, yum! I haven't made any in such a long time, will have to try this recipe :-) Thanks for sharing at Take It On Tuesday!! This looks delicious. Think I'll have to try making it. Where does the name come from? I've wondered this myself and really don't know the answer. I looked it up and found out that what Americans call "English Toffee" is actually very different from candy that is called toffee in the UK. I don't love toffee but this looks good enough for even me to try. Thanks for sharing on the weekend re-Treat link party! Hope to see you again Thursday at 7PM. I'm guessing maybe the toffee didn't reach 300 degrees when you cooked it. The grainy texture is probably the sugar. The sugar changes once it reaches 300 degrees and looses its grainy texture. Even though you don't need a candy thermometer to make this recipe, it might be helpful to use one the first time you try making toffee. Don't worry, the first time I made this toffee recipe, it didn't turn out right either.